Our solution gives you an easy way to organize and manage information about all your postcard collections. 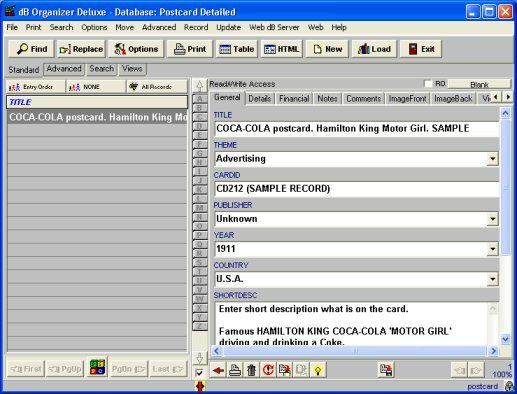 Track all your postcard collections including: postcard title, theme, card id, publisher name, published year, postcard country, condition, status, postcard details (size, series, era, used, postmark, stamp, style), financial data, note, image front, and image back. 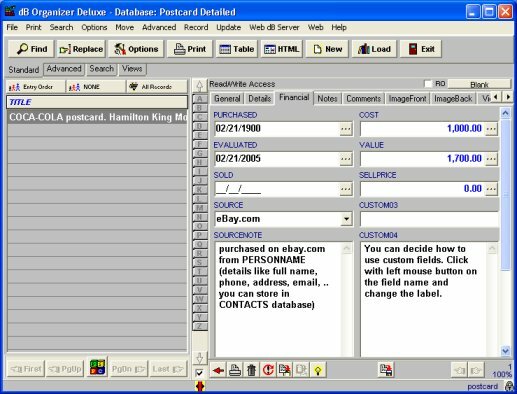 Easily maintain information about all your postcards in a detail form.